Darkness: Where light is not. Light: Brightness or illumination from a particular source. 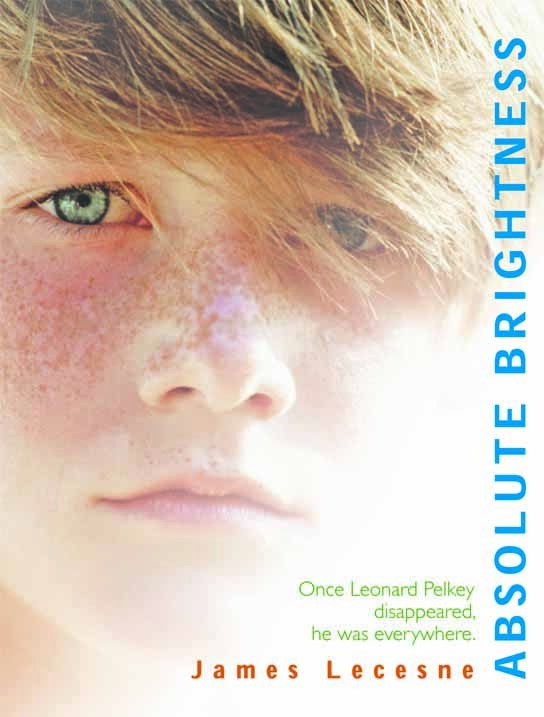 Absolute brightness: The mystery of Leonard Pelkey. This is the story of a luminous force of nature: a boy who encounters evil and whose magic isn't truly felt until he disappears. Virgin Territory explores the power of faith and our need to believe in miracles. Sixteen-year-old Dylan Flack is uprooted from his cozy life in New York City by the death of his mother of cancer the night before 9/ll. Trevor is an exuberant, sociable, and witty thirteen year old. So how come, when he takes that nerve-wracking turn toward his locker at school, he feels scared and alone? Shunned by his friends, misunderstood by his parents, and harrassed at school for being different, Trevor goes from wondering what color glitter to choose for his Lady Gaga costume at Halloween, to wondering why some feelings "are so intense it makes you just want to lay down and die rather than go on feeling it," and making an attempt on his life. Trevor mixes humor and realism in an urgent look at what it is like to feel alienated from everything around you. And more importantly, what critical ties can step in at the most unlikely moment, to save you from despair, and give you reason to go on living. That the boy you were crushing on in History turns out to be gay too, and that you become boyfriends in college? That the bully who is making your life miserable will one day become so insignificant that you won't remember his name until he shows up at your book signing? In this anthology, sixty-three award-winning authors such as Michael Cunningham, Amy Bloom, Jacqueline Woodson, Gregory Maguire, David Levithan, and Armistead Maupin make imaginative journeys into their pasts, telling their younger selves what they would have liked to know then about their lives as lesbian, gay, bisexual, or transgendered people. Through stories, in pictures, with bracing honesty, these are words of love and understanding, reasons to hold on for the better future ahead. They will tell you things about your favorite authors that you never knew before. And they will tell you about yourself.